Based in Tiverton, Devon, 3 Rivers Developments Limited was established in April 2017. As a local, independent, award winning house builder, they are quickly building a reputation for constructing high quality homes, using the best materials, professional craftsmanship and design standards. 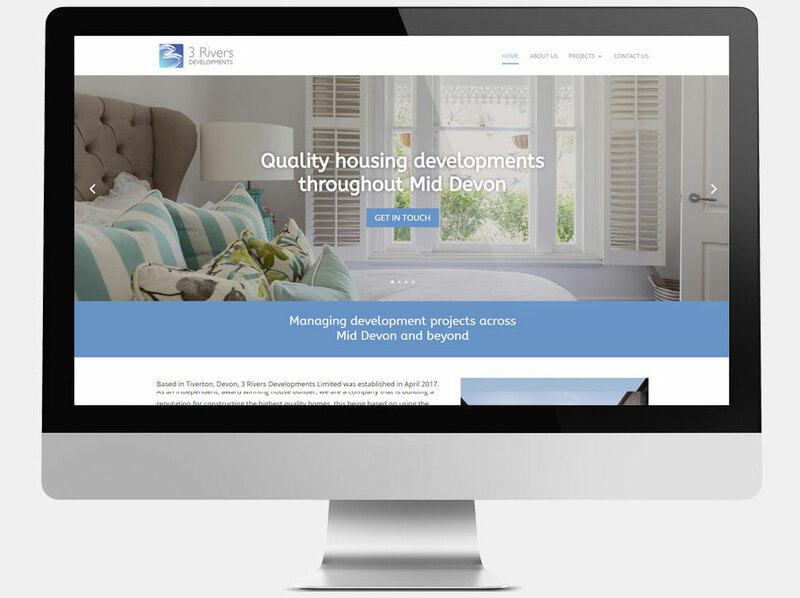 As a new business 3 Rivers Developments required a smart new, expandable website to promote their services and growing list of high quailty construction projects. Options to cross reference other published materials and support for maps, plans and business information was essential. The client was keen to ensure that the new site was W3C compliant with an easy to manage, intuitive editor, suitable for all skill levels. Built on the latest WordPress 5 CMS, the new site ticks all the boxes for a modern bespoke website. Inclusive SEO, 'wysiwyg' editor and training session ensuires easy future maintenance, while easy to duplicate page sections can be mixed and matched to expand the site quickly as and when required. 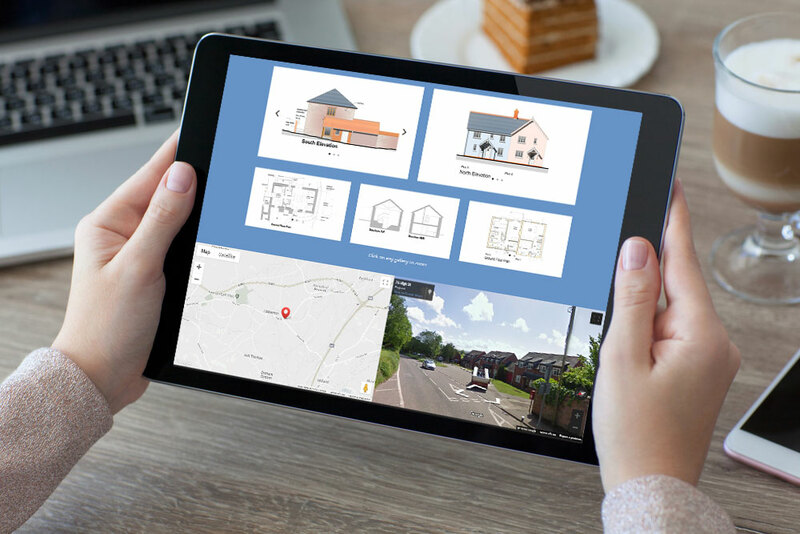 Each existing project contains a separate page of information and unique URL for easy reference, while detailed description, gallery, plans and interactive Google maps ensure prospective buyers and developers have access to all the information they need. 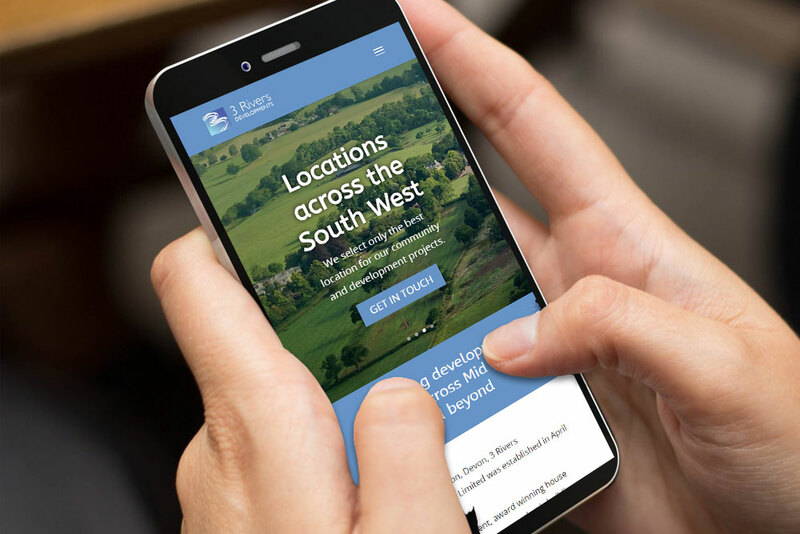 As a wholly owned company of Mid Devon District Council, reputational values and aims are clearly targeted to attract the interest of new home builders and communities, via accessible contact details. As with all of our projects, one of our hosting packages ensures that all website security updates and ongoing technical support are taken care of for the life of the website.